Blogging for your business is a fantastic marketing tool that gives your business a voice and more online visibility. A blog is basically another marketing platform for your business, much like social media and email marketing, yet many businesses still aren’t maximising on this. Why? Because many just don’t understand how helpful blogging can be for your business. Below we have included three benefits of blogging for your business. If you have an online business or showcase your business online via a website then you will know that website traffic is important. Now, there are a number of ways that a potential visitor could find your website. They could type your name into their browser and find your website. This is most likely to happen if the visitor has already had contact with your business and therefore you are on their radar. But this doesn’t actually help you get more traffic. You could have illegally bought an email list and then blasted them with an email, hoping that they will click on the link to your website. THIS IS NOT A ROUTE YOU WANT TO TAKE! You could pay for traffic by placing a lot of paid ads on other people’s websites. This isn’t illegal but it is often expensive and therefore not the first choice for a small business. And, of course, once your money runs out so does the traffic. So how do you get organic traffic to your website? In short, by blogging, using social media and through search engines. Why? Search engines love lots of web pages that are updated regularly with good content. Think about how many pages you have on your website. Probably only a handful and let’s be honest, you can’t update your About Page that often. Well, blogging solves these issues. Every time you write a blog post, it’s another page for the search engines to index, which means another opportunity to show up in the search results. Call to action. At the foot of each blog post, you have the opportunity to show a call to action. This is normally content that someone is willing to exchange information for e.g. a free ebook, fact sheets, a free trial or webinar. Giving your business a voice. Blogging allows you to show potential clients a bit more of your personality, more information and more up to date portfolio images. For example, if you are a wedding photographer a bride is more likely to book you if they can comb through lots of examples of your portfolio and recent weddings, and therefore really invest in you and your style. A blog helps you establish authority in your industry and the best business blog answers common questions asked by their clients. For example, if you are a baby photographer you could explain to clients the best way to get their baby ready for a newborn shoot, a guide to booking a newborn shoot or what to look for in a newborn photographer. By producing helpful blog posts for your clients you will establish yourself as an authority on the subject. If you already have a blog then hopefully this will encourage you to keep blogging along. 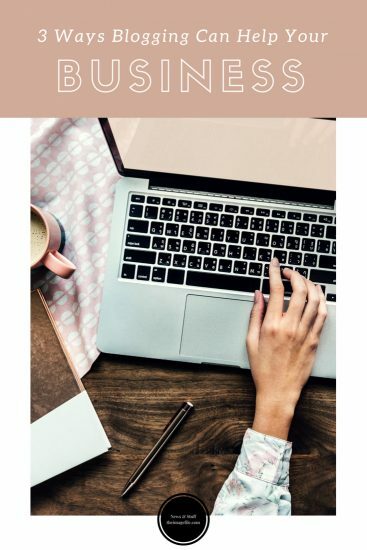 Equally if you are yet to set up a blog then here is all the information you need to do so, and equally, if you are yet to be convinced then here is another post on why you need to get a blog now.